The best time to visit Fort Myers is between March and May. Although the sun is up and rates are down, visitors wanting a quiet vacation should be on the lookout for spring breakers. The summer months see the most crowds, especially families, so plan to book at least three months in advance if you’ll be traveling then. Like other tropical locales, Fort Myers also sees an influx of travelers in the winter season when high temperatures are in the mid to upper 70s. During June – August “Hot” and “sweaty” don’t deter families from flocking here. Prepare for daily temperatures in the low 90s and remember to coat yourself in sunscreen. Also, don’t forget to pack an umbrella for those frequent afternoon rain showers – the area sees most of its rainfall this time of year. During September – November the rain has subsided; the families have fled; the heat has decreased; but the chance of hurricanes persists. These four factors encourage hotels to offer some great rates. Take a look at visiting during this shoulder season. Then not many people can resist mid to upper 70-degree weather and clean beaches December – February. Hotels recognize this and charge premiums, yet even these are much less than at other Floridian destinations. Named after a political cartoonist and conservationist, the J.N. 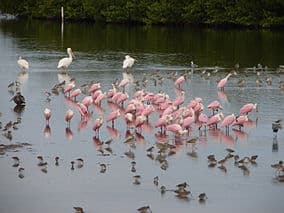 “Ding” Darling National Wildlife Refuge occupies 8,000 acres of land on Sanibel Island, located southwest of Fort Myer’s city center. The refuge, which takes up about half the entire island, was originally meant to conserve the island’s significant mangrove forest. Today, it is still home to those mangroves, as well as animals like crocodiles, alligators and countless species of birds. In fact, for herons, cuckoos, ospreys, and other birds, the refuge is an important stop along their migratory path. It’s best to stop by Manatee Park, a refuge for Florida manatees, during the winter season (between December and February). During the colder months, the animals flock to warm pockets of water to escape chilly temperatures. Since the park is directly on the warm water discharge canal of the Florida Power & Light company, it’s a popular spot for these gentle creatures. There are a handful of observation decks to see the animals up close, but you can also hop into a kayak and paddle out to spot them. 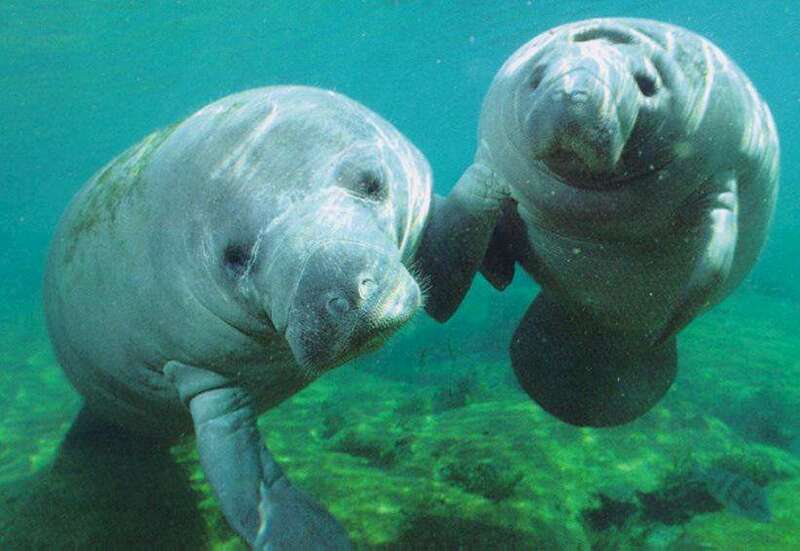 You probably won’t see manatees if you visit in summer, but you can enjoy the park’s 16 acres in kayaks or on guided tours. 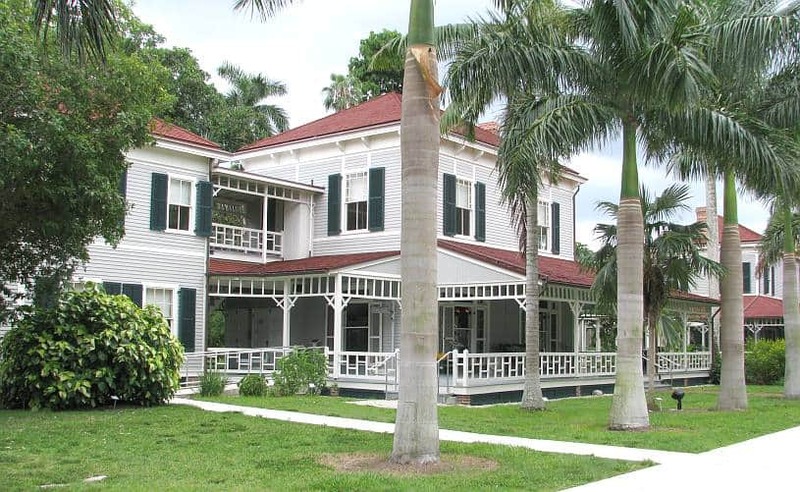 The Edison and Ford Winter Estates are home base for history buffs who visit the area. The two American innovators – Thomas Edison, the inventor of the electric light bulb and the phonograph and Henry Ford, the pioneer of the automobile – were good friends who built their winter homes next to each other about a mile south of downtown Fort Myers. Dating back to the early 1900s, the historic estates are now on display for visitors. Along with the grand homes, the grounds also include a botanical garden (with trees planted by Edison himself), a research laboratory and a museum with hundreds of artifacts and inventions from the entrepreneurs. Guided and self-guided tours are available. You’ll see a wide range of animals native to Florida at the Calusa Nature Center and Planetarium, including bald eagles, alligators, hawks and owls. There are also daily shows and animal demonstrations, as well as touch tanks and fossils that kids will enjoy. Allot one to two hours to enjoy tours of Calusa’s artificial habitats, experience the wetlands or visit the butterfly house, and if there’s still time left over, take in the Center’s laser and space-related shows. This 718-acre facility is a natural tidal wetlands area that is located on San Carlos Bay. This is a living ecosystem that ranges from a sandy beach to Mangrove forests to salt flats and contains a wide variety of wildlife for viewing and offers great photographic opportunities from the flora & fauna to fantastic sunsets. The outdoor activity center has two paddle craft launches, two wildlife viewing and fishing piers, a 310 ft. boardwalk and composting restrooms. 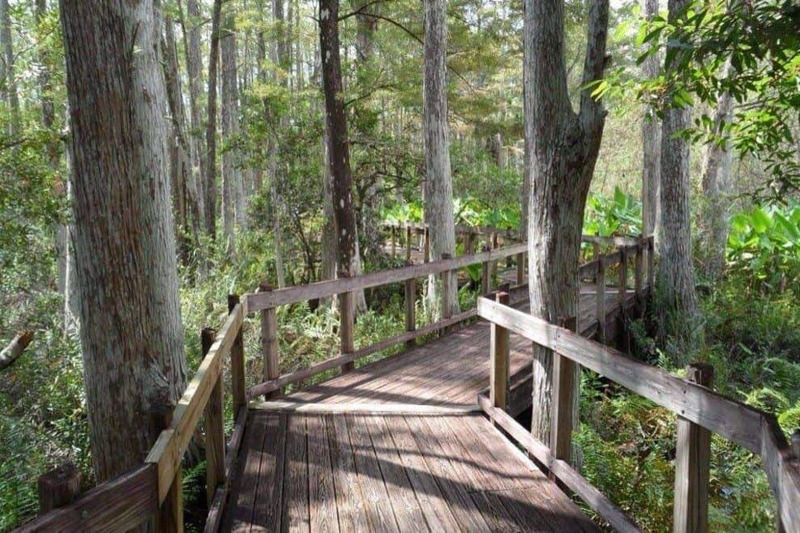 Bunche Beach Preserve is a designated Great Florida Birding Trail site. For more information, maps and guides please visit the Great Florida Birding Trail .Kayak Excursions is a full service kayak and SUP (Stand Up Paddleboards) company. They offer many different types of kayak rentals, kayak tours, kayak fishing, and lessons for adults and children, as well as SUP rentals, tours, lessons, and sales. For more information contact: 239-297-7011 or Kayak Excursions. 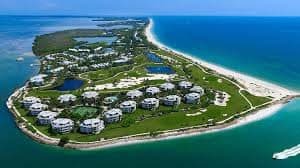 Quirky Captiva Island is beloved for it small size: most everyone walks everywhere. It’s also a stellar place to take in sunset; just stroll down to the beach as day fades into night, and join the nightly celebration. Galleries and outdoor restaurants line Andy Rosse Lane and Captiva Drive. And Captiva’s marinas are where you can arrange to go by boat to other nearby islands. For more information visit Captiva Island. A fun gathering place with a phenomenal view. You can sit back and relax, watching the fishermen on the pier or the dolphins playing in the sparkling waters of the Gulf of Mexico. Let’s not forget, the white sandy beach and the world renowned sunsets. They have added great food and of course your favorite libations with live entertainment for a complete Ft. Myers Beach experience. They cordially invite you to go and enjoy all they have to offer to create fond lasting memories as their fore fathers have done in the past. For more information call 239-463-1028 or visit Sunset Beach Tropical Grille & The Playmore Tiki Bar. They are excited to bring affordable, island style seafood to Fort Myers Beach. The menu is inspired by our travels and features cuisines from the Caribbean, Bahamas, Hawaii, and Florida Keys. For more information call 239-848-1010 or visit Key Lime Conch Shack. Sit back, relax and enjoy. Indulge in a great bottle of wine, a fine bourbon or scotch and the best food and service on Fort Myers Beach. At Fresh Catch Bistro they work tirelessly to ensure your dining experience is simply the the best! For more information call 239-463-2600 or visit Fresh Catch Bistro. Doc Ford’s Fort Myers Beach sits on the back of beautiful Estero Bay on San Carlos Island and offers the best waterfront dining on Ft. Myers Beach. Feel free to go by car or boat and experience live music and watch the largest shrimp boat fleet in the U.S. head in and out of the gulf thru Matanzas Pass. With seating inside and out, it’s a view you will never forget! For more information call 239-765-9660 or visit Doc Ford’s Rum Bar & Grille. Smokin’ Oyster Brewery, known by locals as S.O.B., was established in 1997. Since the first oysters on the half shell where served many have enjoyed the Island atmosphere and the live entertainment on the outside porch of the renovated Florida home. When you go to S.O.B. you will notice a small boat behind the bar. 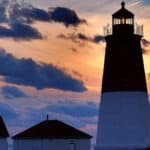 It was originally thought it could be used in case of a hurricane to escape with some of the delicious crabs, island bread, or hamburgers prepared fresh daily. However, now it is much more useful displaying the many bottled beers, wines and liquors used to make fabulous tropical drinks (which, all need to be saved along with the seafood bucket at the time of a flood – basically they need a bigger boat!) For more information call 239-463-3474 or visit Smokin’ Oyster Brewery. The Cottage Beach Bar & Gulfshore Grill is a popular Fort Myers Beach restaurant destination. The restaurant and bar offers fantastic views of the Gulf of Mexico from every table! A local’s favorite for 40 years, they offer the best in Ft Myers night life and are one of the top Ft Myers Beach bars in the area. For more information call 239-765-5440 or visit Cottage Beach Bar & Gulfshore Grill. Join them at Junkanoo for a taste of the tropics. Guests will enjoy their open air or covered seating on the beach over looking the Gulf of Mexico. Thanks to their fans, they’ve been voted the Best Restaurant, Bar and Drinks on Fort Myers Beach. Watch your favorite sporting event, play pool, dance or just relax on one of the many cabanas on the beach! The party never really ends there. For more information call 239-463-6139 or visit Junkanoo on the Beach. Look Out over local happenings and Gulf waters as the sun sets over Times Square or watch the game from the Deck Bar under their covered awning. The Look Out Lounge serves the full Beached Whale menu including BBQ, Seafood Baskets and full plated entrees. Happy Hour features our popular Whale Wings, mussels, and famous Flat Breads. 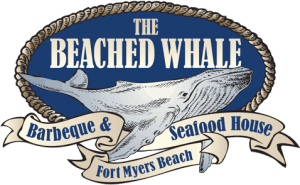 The Beached Whale was listed in Frommer’s Suggested Itineraries under ‘What to do on Day 1 on Fort Myers Beach’, along with many favorable reviews for the new Look Out Lounge, where guests can dine with a great view of the Gulf from atop The Beached Whale. 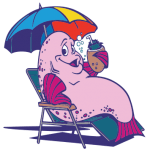 For more information call 239-463-5505 or visit The Beached Whale. The Famous Blowfish Bar at PierSide Grill is the perfect location for fun, cold drinks, and the best people watching spot on the beach! Located right beside the Fort Myers Beach pier, the Famous Blowfish Bar has live music twice every day and you can enjoy their delicious food while you soak in the best view of the Gulf waters! 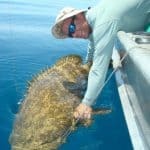 For more information call 239-765-7800 or visit the Famous Blowfish Bar. Located directly on the beach, it’s the perfect place to grab some great food, a cold beer, all while digging your toes in the sand. 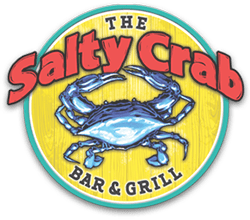 With a fresh new look, and a killer menu, they’re sure that the Salty Crab Bar & Grill will be your new home away from home. Go on in and see for yourself. For more information call 239-233-8224 or visit the Salty Crab Bar & Grill. This property is 1 minute walk from the beach. 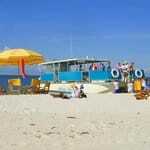 Showcasing a barbecue and views of the sea, Tiki On The Beach is located in Fort Myers Beach. Free WiFi is featured throughout the property and free private parking is available on site. For more information, pricing, or to reserve your room, visit Tiki On The Beach. This property is 2 minutes walk from the beach. Situated on the Gulf of Mexico, steps from beautiful beaches, this condominium-style property offers spacious accommodations, and an unrivaled location, complete with many of the comforts of home. Guests will find a variety of recreational activities at the Gullwing as well as in the surrounding area. Take a stroll along the beach, play a game on the tennis courts, or enjoy deep-sea fishing. For more information, pricing, or to reserve your room, visit GullWing Beach Resort. This property is 1 minute walk from the beach. Featuring free WiFi, a year-round outdoor pool and a barbecue, Edison Beach House offers accommodations in Fort Myers Beach, just 14 miles from Fort Myers. Free private parking is available on site. The hotel also provides bike rental. Naples is 24 miles from Edison Beach House, and Sanibel is 4.1 miles away. Southwest Florida International Airport is 14 miles from the property. For more information, pricing, or to reserve your room, visit Edison Beach House. This property is 1 minute walk from the beach. On the Gulf of Mexico adjacent to Central Fort Myers Beach, this resort features an outdoor pool and rooms with private balconies. Free Wi-Fi and a continental breakfast are provided. After an action packed day of water sports, guests of the Beach Resort Best Western Plus can cook up a meal on the barbecue facilities. A laundromat and a 24-hour front desk are offered for added convenience. For more information, pricing, or to reserve your room, visit Best Western Plus Beach Resort. Wow! This is wonderful information for Fort Myers. We are planning a trip to the area, and found this gem of information. I love it. It is a great help for our planning! I am glad it is helpful in planning your vacation to Fort Myers. Now is a great time to visit! Please let me know if you have any questions, or if I can help with your planning. Thanks for visiting! Visting between march and may. I like that. Thats the best time to come to boring Utah lol. But no this is excellent. Me and my wife have thought about traveling somewhere soon, and this really sounds like a winner for me :). Hey, I lived in St. George for 10 years, and absolutely loved it there 🙂 Not boring at all! This would be a big change from Utah though, but you would love it. Thanks for visiting my Fort Myers Travel Guide. WOW! Such am informative Site I Love how you pretty much Guide Tourists on A Budget where to Dine. Wonderful Job! Thanks Lluvia! Really, many places in Florida can be done on a pretty tight budget. Just need to plan ahead 🙂 Thanks for visiting my Fort Myers Travel Guide. Love the “Best Places to Eat”, I think I will try them all! This is the second page that I’m visiting on your site and just wanted to tell you what an amazing job you have done here, I know that when I will go to the places you wrote about them, I have all the information that I need here. I’m planning to go to Fort Myers beach this weekend, I will surely come back and tell you how it was. Thank you so much Efi! I am glad that I could help you for your upcoming trip. Have fun and let me know if there is anything I need to add to the Fort Myers Travel Guide. I really love your site! I have to say, I am from the great state of Florida, and I love travelling back there as much as I can. My wife and I just returned from Clearwater Beach. What a trip. I read way on into your site, and I have to say that you have pretty much covered everything from the water as to where to stay. I will definitely return to your site, it was very helpful. I am glad you enjoyed Jim. I just actually came back from Clearwater myself. Well, stayed on St Pete Beach and enjoyed both beaches. Thank you for visiting! Wow, I love your site. Its very well laid out and I have admit, that I like it so much, I saved it in my computer favorites file. I can see my family using your site in the future. Today may be Labor Day, but now I’m ready to travel again. Great Jason! I am glad you love it and if you need any help putting an itinerary together, just let me know. 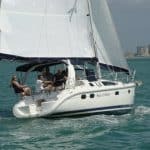 Thank you for visiting the Fort Myers Travel Guide. Its amazing to see beautiful places, beaches and things to do in Fort Myers! There are so beautiful beaches that is kind hard to choose one to go. This is definitely a vacations destination to consider bookmark in my trip list! There are so beautiful places in the USA that are worth to visit, beyond the obvious NY city places! Yes, Tiago I probably prefer this type of vacation hands down over going to NYC, plus it is a ton cheaper all around. I am glad you enjoyed! Thank you for visit Fort Myers Travel Guide! Enjoyed your article. I’ve been to the Florida Beach several years back and it’s beautiful, loved the clean sandy beaches. I spent a good while in your site, you gave so much information of all the activites one can have in Fort Myers and in the surounding areas. I don’t fish or kayak but just to be at the beach, take in a view at the birding wildlife trail and other sightseeing would be awesome! Great pictures and videos! I would love to go back to Florida and visit again. Noticed you also provided info on flights for the lowest airfare. This is great! Nicely done! Thank you so much Rosa for taking the time to read through my site and comment! Yes, I agree that Florida beaches are pretty great. For a budget friendly location in the states, they cannot be beat for sure. Mattysmom, well first off, your site is very well built and easy to guide through. It looks like youâ€™ve done this before. One really good marketing strategy I like is all the photos you have displayed in your website. The detail about each beach is really awesome and is attractive to the visitor. All the pages you offer @ the top of your website are excellent choices as well. I really like the Airfare Page, Tips on finding the best fare prices! Under the Package Deals page however I was expecting to see actual â€œTravel Package Dealsâ€ maybe that might be a thought of making the page for that specific deal and then maybe a separate page for â€œTips before Travelingâ€. Overall your site is amazing and I have no doubt it will do well. I also will be following in case I decide to visit a beach trip someday. Thank you Miles for your thoughtful comments. Yes, I have been trying to come up with some good packages to put on the Travel packages page, and I see that I should probably do that 🙂 Thank you so much for reading! Ft Myers, Florida is indeed a very beautiful destination, and as the pictures show it is quite the beautiful location for relaxation. But I honestly can say that Ft Myers is also a more affordable vacation destination, as opposed to the many international destinations, and Miami Beach even. If you fancy a cheap Florida getaway destination, Ft Myers just might an excellent choice. I would recommend to definitely check it out. I agree Christian! Actually there are a lot of phenomenal beaches and places to see in Florida. 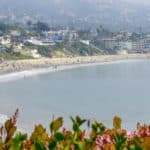 It’s a great budget friendly beach destination! Thanks for visiting! Thank you Brooke and I debated on hotel room pictures, but looks like some might want that 🙂 Thank you for visiting the Fort Myers Travel Guide and Beach Travel Destinations! You know I have been in October and it was still NICE, I still could stay at the beach all day and get a nice tan. The rain always come later in the day, even in the summer. So you will see green and flowers pretty much all the time 🙂 Thanks for visiting beach travel destinations! This sounds like a really interesting place for a holiday. I’m not a huge fan of sailing or fishing, so just going to the beach would do for me lol. But I would really love to see the San Carlos Bay, especially if it’s a preserved area. When it comes to hotels, I can see that your recommendation is Hilton. Now I’m not american, but I heard a lot of things about that hotel brand, so I thought it was rather a luxurious one than budget friendly. So is it affordable to people who have regular budgets too? Yes, Hilton has a variety of hotels, from luxurious to very budget friendly. I personally like the middle-of-the-road hotels by them which are going to be the Double Tree, Hampton Inn and Hilton Garden Inn. All very nice and affordable. thanks for visin the Fort Myers Travel Guide. 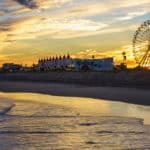 Love this article as I love the beach! Have never been to the U.S before but I will definitely try my best to visit before I die 🙂 Lots of awesome things to do and judging by your pictures, it looks like paradise! Where is Fort Myers? Florida? Also, are the waters shark-infested? 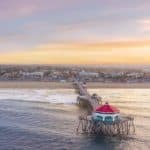 Is it safe for surfing and water activities? 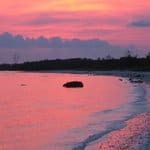 Hi there and thank you for visiting my Fort Myers Travel Guide! It is south of the Tampa area on the Gulf of Mexico. You will not find any surfing on the Gulf side of Florida and the waters are not shark infested. More so on the Atlantic side where the water is colder. Lots of water activities available, just no waves for surfing.